A leading Sunni Saudi religious leader has called for a global code of conduct for leaders, scholars and young people to halt a further slide into violence and "terror" in the Middle East. Sheikh Abdul-Rahman al-Sudais, the imam and preacher of the Grand Mosque in Mecca, decried "mass massacres against humanity" in Gaza, Syria and Iraq during his Friday sermon in Mecca. "All of this happens under the sight and hearing of the international community ... which raises fear that a generation would come to believe only in violence, terror and the clash of civilisations," Saudi state news agency SPA quoted Sudais as saying. He said "there was an urgent need to prepare a global code of conduct in which the leaders and scholars would deliver their messages and in which the youths would set their thoughts right and the path of the new media is set right," SPA added. The report did not go into details of the contents of such a code of conduct. The US-allied kingdom has grown increasingly alarmed since the Islamic state group captured large areas of neighbouring Iraq and Syria and declared an Islamic caliphate. The Iraqi government has accused the Islamic State group of carrying out a "massacre" in the northern Iraqi village of Kocho, killing dozens of people from the Yazidi religious minority. "We have information from multiple sources, in the region and through intelligence, that [on Friday] afternoon, a convoy of [IS] armed men entered this village," senior Iraqi official Hoshyar Zebari told the AFP news agency. 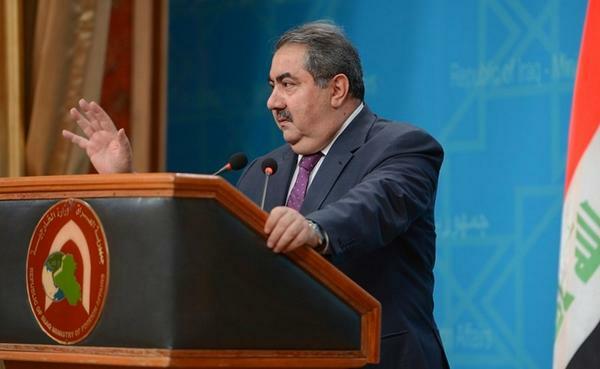 "They took their revenge on its inhabitants, who happened to be mostly Yazidis who did not flee their homes," Zebari said, referring to a religious community regarded as heretics by IS. "They committed a massacre against the people," he said. "Around 80 of them have been killed." Harim Kamal Agha, a senior official of the Patriotic Union of Kurdistan party in Dohuk province, which borders Nineveh, put the death toll at 81 and said IS had taken women to prisons they control. Yazidi fighter, Mohsen Tawwal, told the AFP he saw a large number of bodies in the village. "There were corpses everywhere. We only managed to get two people out alive. The rest had all been killed," he said. The leader of Iraq's Kurds has appealed to Germany for weapons to help Kurdish fighters batte the Islamic State group, saying foreign powers must find a way to cut off the group's funding. Masoud Barzani, the president of the Kurdistan Regional Government, said the Kurds needed more than the humanitarian aid that Germany began sending on Friday to support people forced to flee their homes by the Sunni militant group's advance. The European Union on Friday gave a green light to EU governments to supply arms and ammunition to the Kurds if it has the consent of the government in Baghdad. "We also expect Germany to deliver weapons and ammunition to our army so that we can fight back against the IS terrorists," Barzani told German magazine Focus. He said they needed German training and what they lacked most were anti-tank weapons. 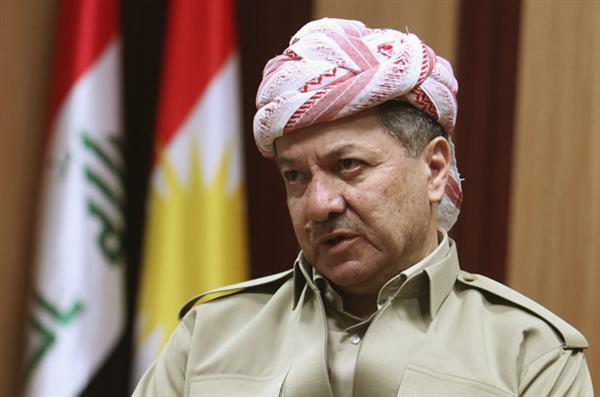 Barzani also said foreign governments had to find a way to choke off the Islamic State's sources of funding. "A grand alliance must drain the IS's financial sources and prevent individuals from aligning themselves with the IS group," he said. 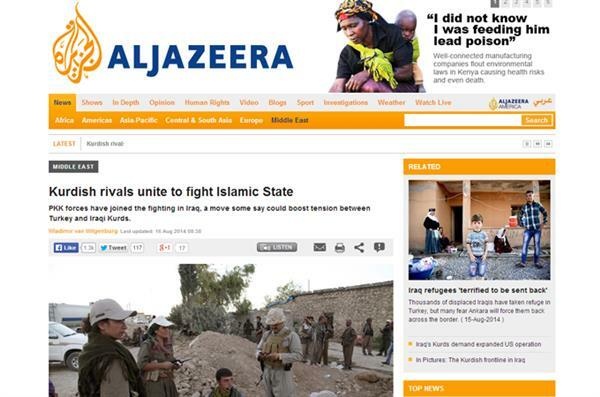 PKK rebels are making their way to Iraq to join other Kurds in their fight against the Islamic State group. Read more here. Kurdish forces have taken over parts of Iraq's largest dam, less than two weeks after it was captured by the Islamic State group, Kurdish security officials said, as US and Iraqi planes aided their advance by bombing targets near the facility. Al Jazeera's Zeina Khodr, reporting from the town of Tel Skuf in northern Iraq, said that Islamic State fighters have abandoned several vehicles near Mosul dam as they retreated from the advancing Kurdish forces. Our correspondent also reported that US drones and jets continue to target the armed group which is still in control of Iraq's largest dam. There have been fears that the Islamic State fighters would blow up the dam, but US intelligence sources told Al Jazeera that it is unlikely as it would also flood the city of Mosul, the stronghold of the Sunni armed group. The officer who killed an Iraqi journalist at a Baghdad checkpoint in March was sentenced to life imprisonment, a spokesman for the judiciary said. "The central criminal court of Iraq, headed by Judge Beligh Hamdi, handed a sentence of life imprisonment to the defendant, who was accused of murdering journalist Mohammed Bidaiwi," Abdelsattar Bayraqdar said following the verdict on Sunday. Bidaiwi, the bureau chief of the US-funded Radio Free Iraq, was on his way to work on March 22 near the presidential complex on the edge of the heavily-fortified Green Zone when he was shot dead during a heated argument. Despite reports on social media stating that the Kurdish forces have retaken the Mosul dam altogether from the Islamic State group, sources told Al Jazeera that the fighting is still ongoing. 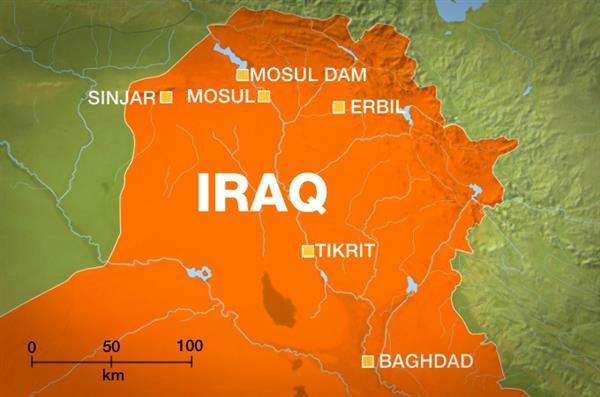 Iraq's largest dam was captured by the armed Sunni group earlier this month. Sunday's military operation, largely aided by US air strikes, aims to retake control of the government facility in northern Iraq. The White House said that President Barack Obama had informed Congress that he authorised US air strikes in Iraq to help retake control of the Mosul Dam, which it said was consistent with his goal of protecting US citizens in the country. "The failure of the Mosul Dam could threaten the lives of large numbers of civilians, threaten US personnel and facilities - including the US Embassy in Baghdad - and prevent the Iraqi government from providing critical services to the Iraqi populace," the White House said in a statement. Michael Stephens, deputy director at the Royal United Services Institute for Defence and Security Studies spoke to Al Jazeera about the significance of Mosul Dam. "Mosul Dam controls a lot of the water going into Baghdad, and it is one of the main water collection points for northern Iraq. It also produces hydro-electric power so it is of big strategic importance. 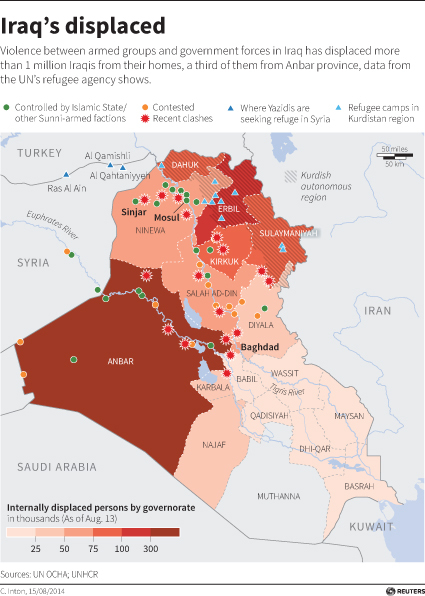 "The Islamic State group are focused on securing water and food in any area they attack. It's in line with the group's strategy of trying to control bigger areas of infrastructure, so they can declare that their operation is working. "They decided that they wanted something that gives them more leverage. "Rather than destroying it the question is would they maintain it properly: i.e. keep electricity and water services running for the population? They wouldn't blow up the hand that feeds them. But there are questions as to the groups suitability to maintain it. "For the Peshmerga the significance is less strategic. It is more an issue of pride. They were clearly struggling and needed support. "[New Prime Minister] Abadi is trying to show power by ordering the retake of the dam." The Islamic State armed group have so far killed dozens of Kurdish forces and captured 170 of them, a Twitter site that supports the group said. The group has also seized weapons from the Kurds, the post said on Monday. No details on location were available. Former dictator Saddam Hussein's Baath party must play a role if a political solution is to be found in Iraq, fugitive vice president Tarek al-Hashemi said, warning that US air strikes would do nothing to end the violence. "My country is on the brink of civil war and partition," Hashemi, a Sunni sentenced to death in 2012 after an Iraqi court convicted him of running death squads, told Reuters in an interview in Istanbul on Monday. The United States forces have conducted more military airstrikes against the Islamic State group as Kurdish forces try to retake the Mosul Dam. In a statement issued on Monday, the US Central Command said a mix of fighter, bomber, and remotely piloted aircraft "successfully" conducted 15 airstrikes near Iraq's largest dam. "The strikes damaged or destroyed nine ISIL fighting positions; an ISIL checkpoint; six ISIL armed vehicles; an ISIL light armored vehicle; an ISIL vehicle-mounted anti-aircraft artillery gun, and an IED emplacement belt. "All aircraft exited the strike areas safely." Qubad Talabani, deputy prime minister of the Kurdish regional government, has told Al Jazeera that the operation to retake the Mosul Dam is "almost complete." A Yazidi refugee fleeing the jihadist offensive in Iraq has given birth to quintuplets in northeast Syria, an official with the UN refugee agency said. "Tamam Ramadan had quintuplets on Thursday -- two boys and three girls -- after a caesarian section in hospital in Qamishli," the UNHCR official said, asking not to be identified by name. "The babies are doing well," he added. Tamam, 27, from Syria and married to an Iraqi, is a member of the Yazidi community whom jihadists of the Islamic State group regard as heretics. Pope Francis has said he and his advisors were considering whether he might go to northern Iraq himself to show solidarity with persecuted Christians. But he said he was holding off for now on a decision. US President Barack Obama has announced that the Kurdish troops and Iraqi government forces have recaptured the Mosul Dam from the Islamic State armed group. In a press conference at the White House, US President Obama said recapturing the Mosul dam, the largest in the whole of Iraq, is a "major step" in the fight against the Islamic State armed group. But the US president also said that the fight "will take time" and that "there will be challenges ahead." Obama also said that Iraqis need to unite to "push out" the Sunni armed group, that is trying to establish an Islamic caliphate in territories between Iraq and Syria. Islamic State message to America: "We will drown all of you in blood"
The Islamic State militant group that his seized large parts of Iraq and drawn the first American air strikes since the end of the occupation in 2011 has warned the United States it will attack Americans "in any place" if the raids hit its fighters. President Barack Obama said that the United States has embarked on a long-term mission to defeat the Islamic State armed group fighting in Iraq. 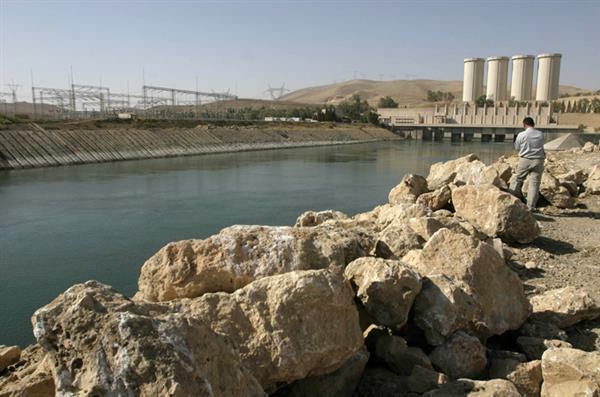 Mosul Dam has been recaptured by Kurdish and Iraqi government forces. The dam, the largest in the country, was seized by Islamic State fighters earlier this month, placing them in control of enormous power and water resources and access to the river that runs through the heart of Baghdad. 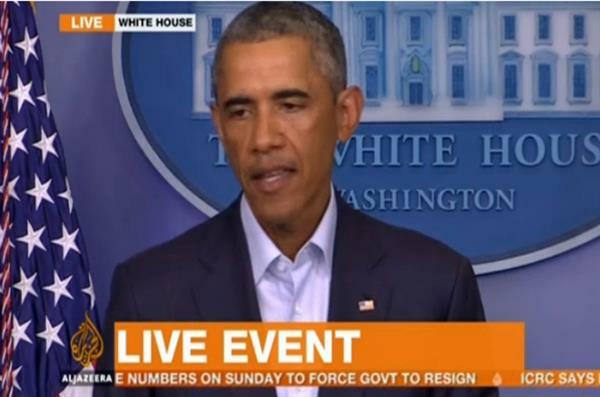 Barack Obama hailed the recapture as a major step forward and pledged a long-term US mission to defeat the group. Read more on our site. The Peshmerga are seen as one of the only forces who can defeat the Islamic State group. But who are the Peshmerga and what are they fighting for? AJ+ Labs explains. Iraqi and Kurdish forces recaptured the Mosul dam on Monday. Zeina Khodr reports from the frontline. This piece by Paul Rogers of Open Democracy looks at the ways in which the Islamic State group's fighters may escalate the ongoing conflict in Iraq, and how the fighters might be looking to benefit from Western intervention in the country. Iraqi army fails to retake Tikrit in third attempt to recapture the town. Beyond Mosul, which is under control of the Islamic State group, Peshmerga forces are pushing in from the northeast. They have retaken control of the country's largest dam, but the fighting is far from over. Al Jazeera's Jane Arraf reports from the Mosul Dam. Analysis of a video showing American journalists James Foley and Steven Sotloff indicates that the video is authentic, a US National Security Council spokeswoman said. "The US Intelligence Community has analysed the recently released video showing US citizens James Foley and Steven Sotloff," spokeswoman Caitlin Hayden said. "We have reached the judgment that this video is authentic. We will continue to provide updates as they are available." Official with knowledge of the security situation in Iraq says the US has conducted 77 airstrikes since limited involvement began. Tamer is a correspondent for the Wall Street Journal. UN chief Ban Ki-Moon has condemned in "the strongest terms" the beheading of US journalist James Foley by the Islamic State group, according to Reuters. US President Barack Obama condemned the Islamic State group fighters who beheaded an American journalist as "a cancer" and said "their ideology is bankrupt." "The whole world is appalled by the brutal murder of James Foley," Obama said, speaking a day after the group released a video of Foley being beheaded. US forces tried but failed to rescue reporter James Foley and other US hostages held in Syria by the Islamic State, officials and reports said Wednesday, a day after the group released a video showing the journalist's beheading. US media, citing senior Obama administration officials, said Foley was among those US Special Operations commandos were trying to rescue. "The United States attempted a rescue operation recently to free a number of American hostages held in Syria by the Islamic State of Iraq and the Levant (IS)," Pentagon spokesman Rear Admiral John Kirby said in a statement. "This operation involved air and ground components and was focused on a particular captor network within ISIL. "Unfortunately, the mission was not successful because the hostages were not present at the targeted location." The White House said in a separate statement that the rescue attempt was authorised "earlier this summer." It involved several dozen US commandos, one of whom was injured in a fierce firefight with IS militants, The Washington Post said, calling it the first known US ground operation in Syria since the country's descent into civil war. The Post said that it was believed that Sotloff was also among the group being held that included Foley. 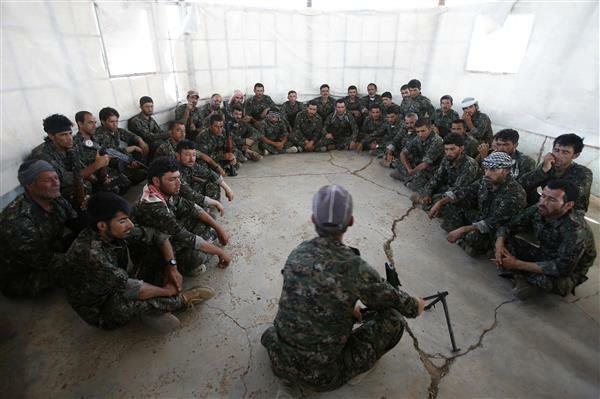 The United States is warning that the fight against the Islamic State group is far from over. Defence Secretary Chuck Hagel says the US military will have to continue air strikes and that the IS poses a long term security threat to America. At least 30 people were killed when a Shia Muslim militia opened fired inside an Iraqi Sunni mosque in Diyala province on Friday, an Iraqi security source told Reuters news agency. The security source said at least 30 bodies had arrived at the hospital in the city of Baquba in Diyala province. Witnesses said the death toll from the attack was higher, but it was not immediately possible to verify the reports. About 700,000 Iraqis have gathered in the Kurdish north after being driven from their homes by Islamic State fighters, the United Nations said as it stepped up a massive aid operation to the region. "The Kurdistan region of Iraq is now hosting close to 700,000 displaced Iraqis, most having arrived in early June," Adrian Edwards, spokesman for the UN's refugee agency, told reporters in Geneva. Shia armed group kills at least 73 people inside place of worship near the city of Baquba in eastern Diyala province. Al Jazeera's Jane Arraf, reporting from Erbil, says she's been told that that Iranian troops have crossed the border to help peshmerga fight the Islamic State group. A bomb has exploded in the capital of Iraq's Kurdistan region, Erbil, on Saturday, local television network Rudaw reported. TV footage showed firefighters dousing the charred remains of a car. A Reuters journalist earlier saw a cloud of smoke in Erbil, but it was not clear whether it was from a blast. Al Jazeera's Zeina Khodr, in Erbil, says a car bomb went off on a main road close to a technical college and the office of a Kurdish party. There are reports of casualties but no claim of responsibility yet.